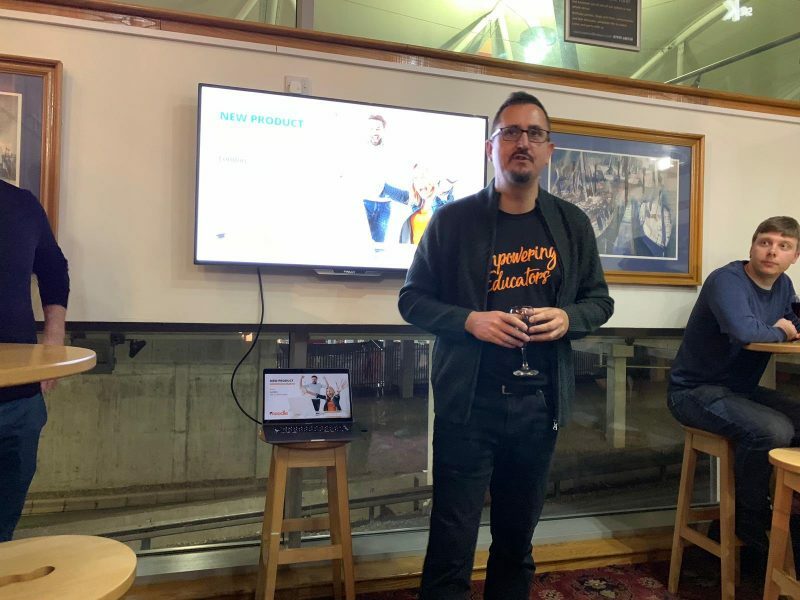 Since attending the official launch of Moodle Workplace at the 2019 Learning Technologies conference in London, the team at Titus Learning have been discussing the implications of the new LMS with excitement. As a certified Moodle Partner of two years’ standing, we’re naturally extremely interested in any development or upgrade to Moodle, but the launch of Moodle Workplace is in a class of its own when it comes to the effect it will have on our business, our clients and the Moodle community worldwide. Of course, it’s early days yet, and we’re keenly scrutinising each new piece of news which emerges from HQ about Moodle Workplace to find out more about the build and rollout. Nevertheless it’s clear to all of us at Titus Learning how transformational Moodle Workplace is going to be, in a number of ways. When we started Titus Learning, we were heavily focused on the education sector, particularly international schools – in fact that was a core specialism of our ours which helped to build the business in the early days. Working across international borders, with a diverse set of customers with disparate needs was a great learning curve for our team, as we took advantage of the customisable nature of Moodle to deliver made-to-measure learning platforms with a healthy dose of bespoke development work involved. As the company matured though, and particularly as we moved towards and finally gained certified Partner status, we found that interest from outside of the education sector was growing, and increasingly fielded enquiries from businesses, not-for-profits and public sector organisations. With these enquiries came a whole new level of requirements, in terms of tailoring the platform, enabling specific workflows, allowing for particular infrastructure requirements, and so forth. We’ve always been enthusiastic in rising to new challenges, and providing creative solutions, and so in most cases were able to use Moodle, perhaps integrated with some third party solutions, and some custom work on the dev side to meet these wider ranging briefs. The fact is, that while Moodle was a great starting point upon which to build any custom learning platform, the core platform was of course still very much education focused. As you would expect it to be, after all, it had remained true to its roots, and to its historic user base. The stumbling block was though, that while we were confident in our ability to create Moodle-based solutions for business, it did mean that convincing the prospective client that Moodle could meet their needs was sometimes a harder conversation. It was difficult, to be honest, impossible sometimes, for a training manager or L&D head to accept that a “schools & colleges” product would serve their particular needs. So from our point of view, Moodle Workplace has arrived at just the right time. It’s not just the raft of features which make it a more direct fit for the needs of business users that matters, it’s the deeper implication that Moodle is now officially an enterprise product. It’s the confidence boost for prospective buyers knowing that workplace learning is at the heart of the Moodle project, with Moodle HQ driving it forward. Not an adaptation of a solution designed for a different market. For partners like us, it means maybe less development time spent on tweaking the basics to bring them into line with a company’s specification, but more time to spend on the creative bespoke work beyond that, continuing to push the boundaries of what’s possible. Ultimately though, it means more Moodle users. And as tireless advocates for the Moodle project and committed Moodle Partners both for the UK and Hong Kong, that’s always a big win in our book. Moodle Workplace will be available from mid 2019, exclusively via Certified Moodle Partners, so if you’re interested in upgrading or looking at Moodle for the first time, get in touch with Titus Learning for more information.